Welcome to EG Pilots, Commanders! We are community of free pilots in the world of Elite: Dangerous. EG means Elite Games – thit is out community website elite-games.ru dedicated to space related games and everything about space. It was founded back in the 1999 and have a huge history. 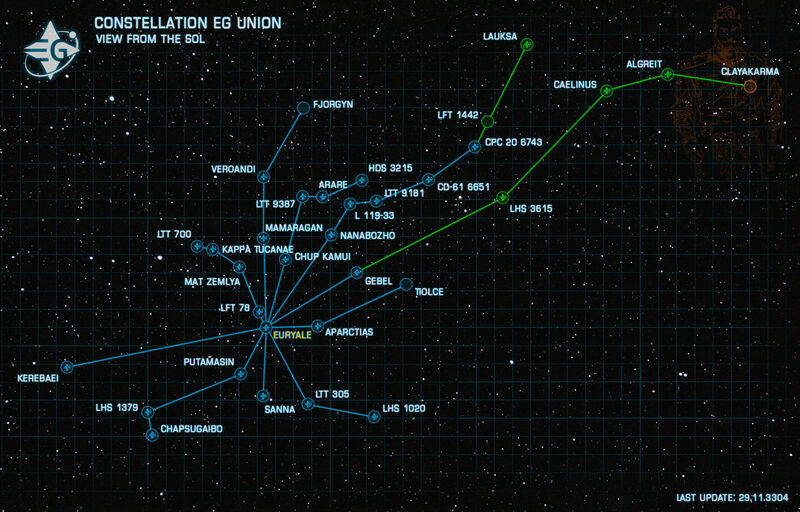 We are expanding our fraction EG Union, in order to make it one of the dominating Galaxy's Power! We are a russian-speaking community of free pilots in the world of Elite Dangerous. Our main goal is an expansion of our fraction EG Union with the ultimate result to become one of the Elite Dangerous Powers. Which was finally accomplished. As the result of Dangerous Games EG Pilots are now the first player-formed in-game Power! On a daily basis our respected Dictator Councellor is announcing the list of our goals (Main and Secondary) and every pilot is free to choose activity he prefer most. Our initiative comes from an absolute confidence that thigs we are doing shapes the Galaxy. And when a lot of people are doing something together - the results won't take long to appear. Here at EG hundreds of space traders from all corners of the inhabited galaxy have found their harbour. Convenient location of our fraction on the borders of Powers makes it attractive for enterpreneurs of all levels. Join us, and we will show you the most profitable and safe trade routes. Our history is a history of war. War with unwelcome guests, war for our sovereignty, war for our future. The Forge of War have hardened us as a soldiers, ready to be deployed on the first call of our Leader. We are ready to crush our enemies with an enourmous power of our Armada. Join us now and we will give you the most important thing – purpose! Purpose for fight and for the living! Dozens of our explorers are regularly departing into unknown parts of the galaxy. Join the Expeditions, fly with our pilots for thousands of light years, inscribe you name in the Hall of Pioneer's Glory! Ad Astra, CMDR! The location of our systems makes them favorite place for Pirates, Smugglers and Bounty Hunters. Are you into that passion and shiny coins? You've come to the right place! We were never against smuggling. We build our future together! We are capturing nearest systems and relentlessly expanding our influence. We are determined to control every settlement in our systems. Under guidance of our wise Dictaror we are building a better world! Every one joined the EG Union may count on our support. We are providing protection and support in all our systems. If you got yourself into “trouble” – we are there on the first call. We will never abandon our pilots! Do you wish to support Yuri Grom Power? You wish to promote "Freedom Among the Stars"? Then join the official EG Pilots Power Play Discord and Yuri Grom's subreddit! There you will find an up-to-date tasks for Yuri supporters. You are welcome! The Capital of our faction is glorious Euryale. Most of the system's population is situated on the biggest station in the system - EG Main HQ, orbiting Earth-type planet EG Prime. History of our home-system dates back to the days when the first colonial ships started to furrow vasts of our Galaxy. This ancient time left us a story from which we draw inspiration. At the times of the massive mankind expansion the colonial ship «Euryale», named after one of the Gorgon-systers from Greek mithology, which name can be translated as "far-roaming", has ventured into the Deep Space for establishing a new Human colony. During the flight navigational equipment malfunction has occured and colonial ship got off the course and rushed into the unknown. The colonists understood that noly incredible miracle could lead them to the life suitable start system, that is why, when their ship has appeared near yet unknown star with a vast planetary system, they have named it after their ship "Euryale" in gratitude, and after they have found and Earth-Like planet in the system, they have named it «Euryale Gaia» - "Euryale Earth". 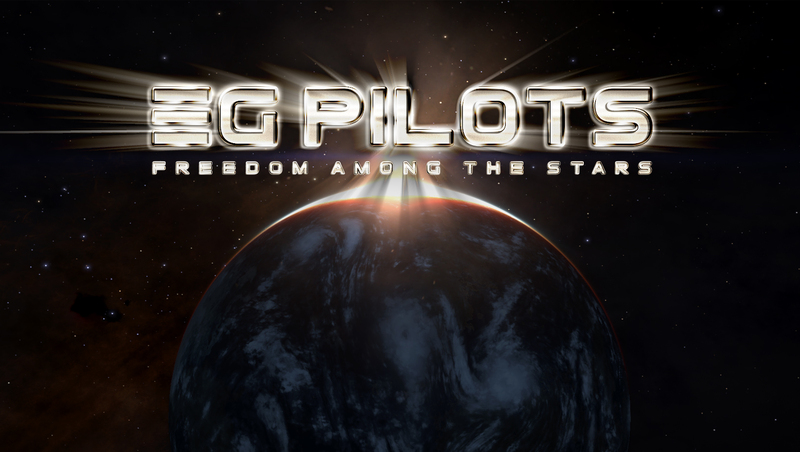 As the time passed it's name shortened to "EG", and later on this prefix was used with names of the space stations and other system's structures, and particularly with the free pilots community, which is now called EG Pilots. He was born in Euryale system on EG Main HQ station in the year of 3223. In 3244 - Enrolled in the Federal Fleet Academy, from which he graduated with honors. In 3265 - Received a rank of Rear Admiral and commander of one of the Federal Cruisers. In 3270 - Promoted to Vice-Admiral and commanded one of the Federal 8th fleet battle group. In 3276 - Promoted to Admiral and commanded 12th Federal fleet. In 3287 - Asked for a transfer to the system security service in Euryale system on a commanders duty. In 3291 - Retired and engaged in political activities in Euryale system joining United Euryale First. In 3297 - Took place of faction leader at United Euryale First. In 3301 - Demanded ruling party - Future of Euryale to start a process of Euryale separation from Federation. During his service in the Navy Yuri Grom has established himself as a strong strategist and tactician. 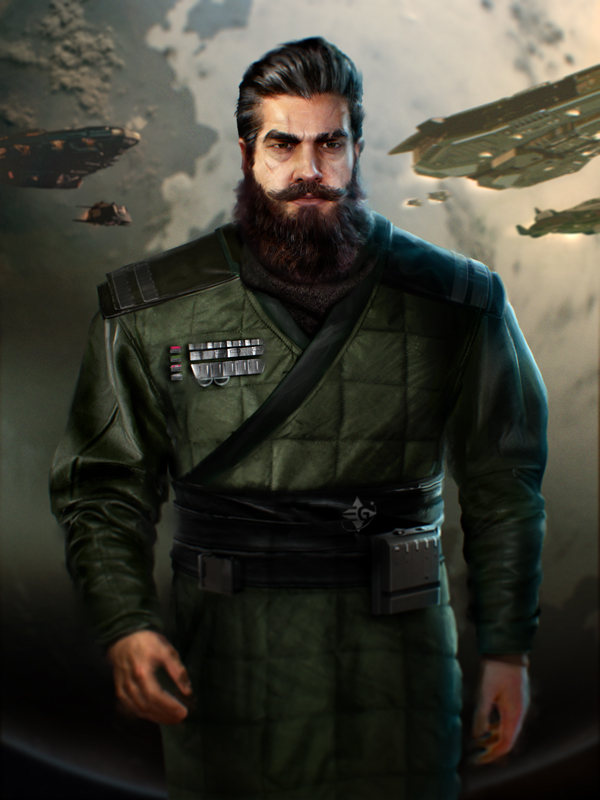 Also considered to be an excellent diplomat, for several times he was able to persuade rebellious systems to surrender and lay down their arms. Russian speaking group, which was founded with the Elite:Dangerous launch. First members was helping the project during kickstarter campaign and earned their own Planet in the ED Universe -EG Prime, named after community elite-games.com which was founded in back 1999 and includes thousands of people. EGP have participated in Rise to Power event and earned the right to create their own Power - Yuri Grom.